Back in October, John Dewar & Sons Ltd. released The Deveron from the Macduff distillery… a 10yo (exclusive to France), 12yo and 18yo. Madcuff is located next to the Deveron river which enters the sea just up from the distillery. Nose: A fairly spirity nose, but great to sniff; gently nutty and malty, slight salt hints. Palate: The palate is not the most oily, but it’s easily approached, slightly more salty at first than the nose lead you to suspect, but it’s a good salt which leads quickly into sweet malt, gentle oak and some winter fruits. Finish: The finish is medium in length, really quite sweet, full of soft pulped fruits, red apples, hints of oak, a handful of nuts and smoke puffs. Thoughts: Really very enjoyable malt this, easy drinking, but full of flavour. For the price it’s really quite a bargain. Nose: Less of a spirit hit that the 12yo gave you, much older and more relaxed. A significant increase in gentle sherry influence, more nutty and more wintery fruits with raisins and caramelised brown sugars. Palate: The salt that you found in the 12 is also present here straight away before leading into an even more relaxed palate. The longer you hold it on the tongue the more flavours there are to explore; nuts, pinch of spices, buttery, creamy malt and wintery fruits. Finish: Medium, old and gently fruity. Hints of oak. Thoughts: The nose is lovely, really one to smell for ages. The palate is great, but I just wish it was thicker, it craves the oils of less filtration. Overall thoughts: I love the green, matt finish bottles! Good malts, nice to see them getting some public light rather than just quietly being used for blends. It’s hard to pick between the two, the 12 is great value, good whisky. The 18 is relaxed, old and pleasurable but could be more with thicker mouthfeel. Both whiskies to look out for though, they’re very tasty and well constructed. Extra: I visited the distillery in 2014, have a read here for more info! 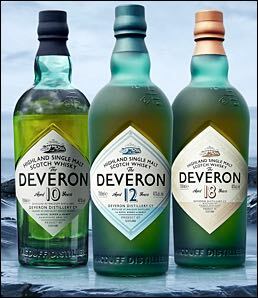 Thanks to The Deveron for the samples. 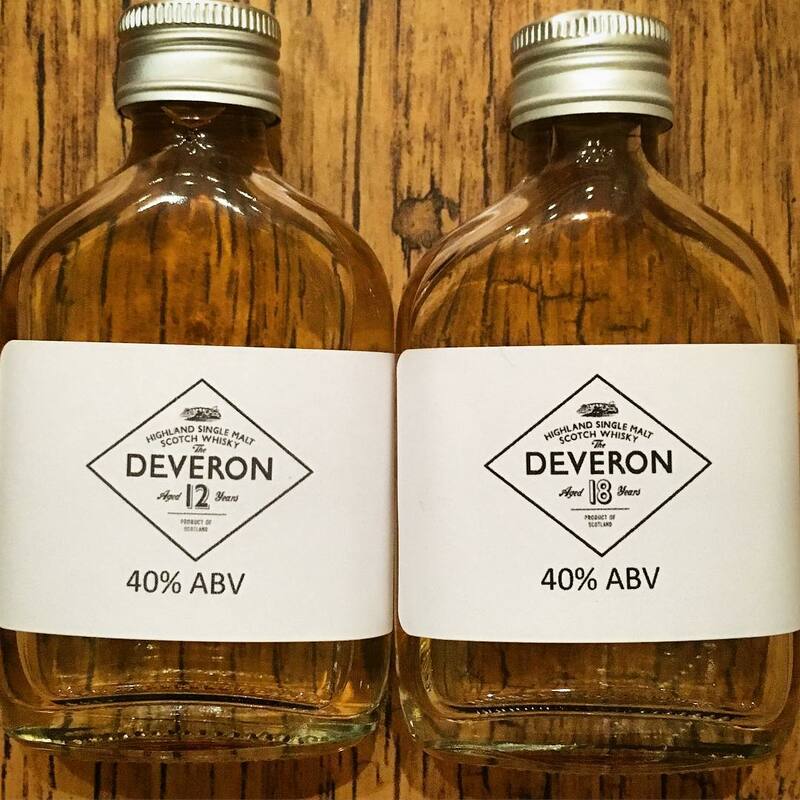 This entry was posted in Review, Whisky and tagged Deveron. Bookmark the permalink.